Note: This article was originally posted on opensource.com, Red Hat’s community hub for all things open source. For parents: Shopping for back-to-school supplies, textbooks, clothing, and other accouterments can be frustrating and expensive. To help take the sting out of this ritual, students and parents might consider turning to free, open source software and tools in preparation for a new year of study. For students: Beyond cost savings, open source software empowers students to take ownership of their work and be free of software licensing treadmills. And, perhaps the ultimate educational opportunity is the ability to examine, analyze, and contribute to open source software and tools like these. For teachers: Turning theory to practice, students can learn by doing as they help with documentation, quality testing, bug review, or even code contributions. Teaching is not simply the delivery of content, via lecture-taxi, to passive minds. Participation and collaboration ignites powerful learning, and empowers students to engage in thoughtful, meaningful scholarship. And open source can be the catalyst. Annotation, journaling, and note-taking apps are incredibly popular on tablets and smartphones.Xournal brings these capabilities to the Linux desktop. Students can utilize Xournal to annotate PDF files and capture ideas. Alternately, teachers might use Xournal to grade submitted papers. Extra credit: Use Xournal in conjunction with GfxTablet, an app that allows you to draw on your PC via your Android tablet. Forget Kahn Academy; put students in the driver’s seat and let them teach the class. Screencasting is a powerful tool for demonstrating student mastery of concepts and ideas. Inspire students to become teachers, trainers, and digital experts with Kazam Screencaster, a simple desktop video and audio recorder. Microsoft may offer a reduced cost student edition of Office, but who needs it when LibreOfficecan handle your productivity tasks with vigor and vim. LibreOffice is a flagship open source product and continues to set the bar for other collaborative projects. With the ability to handle standard Office documents plus Publisher and Visio files, LibreOffice is a personal productivity powerhouse and a big step toward student document liberation. Unleash your inner Mozart with MuseScore, a high-quality music composition and notation program similar to commercial software such as Sibelius and Finale. MuseScore boasts an impressive list of features and runs on Linux, Mac, and Windows. Play with math, programming, music, and art in the powerful Kojo Learning environment. 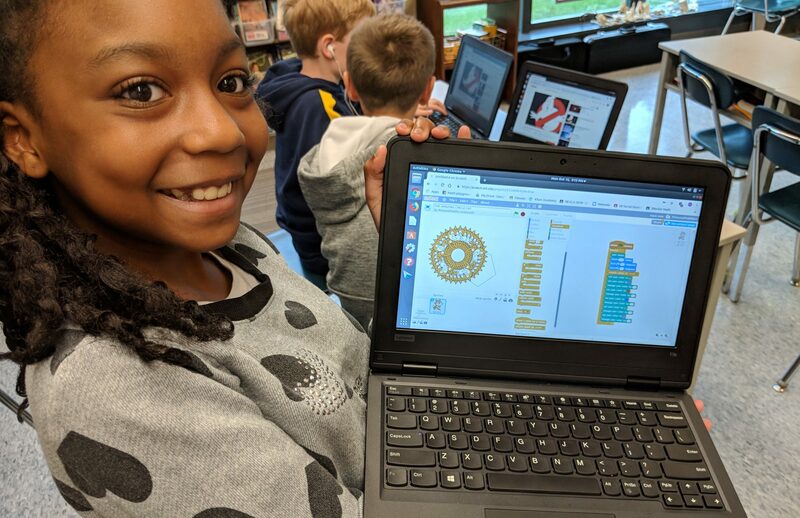 Based on ideas derived from innovative programs such as Logo and Geometers Sketchpad, Kojo offers a rich platform for students to explore the synthesis of mathematical ideas, coding, creative thinking, and learning. What applications are loaded into your open source backpack? Are you already using some of these applications in the classroom? If so, tell us how in the comments below.